In the fall of 1921 I attended the only course in genetics open to undergraduate students at Cornell University. It was conducted by C. B. Hutchison, then a professor in the Department of Plant Breeding, College of Agriculture, who soon left Cornell to become Chancellor of the University of California at Davis, California. Relatively few students took this course and most of them were interested in pursuing agriculture as a profession. Genetics as a discipline had not yet received general acceptance. Only twenty-one years had passed since the rediscovery of Mendel’s principles of heredity. Genetic experiments, guided by these principles, expanded rapidly in the years between 1900 and 1921. The results of these studies provided a solid conceptual framework into which subsequent results could be fitted. Nevertheless, there was reluctance on the part of some professional biologists to accept the revolutionary concepts that were surfacing. This reluctance was soon dispelled as the logic underlying genetic investigations became increasingly evident. When the undergraduate genetics course was completed in January 1922, I received a telephone call from Dr. Hutchison. He must have sensed my intense interest in the content of his course because the purpose of his call was to invite me to participate in the only other genetics course given at Cornell. It was scheduled for graduate students. His invitation was accepted with pleasure and great anticipations. Obviously, this telephone call cast the die for my future. I remained with genetics thereafter. At the time I was taking the undergraduate genetics course, I was enrolled in a cytology course given by Lester W. Sharp of the Department of Botany. His interests focused on the structure of chromosomes and their behaviors at mitosis and meiosis. Chromosomes then became a source of fascination as they were known to be the bearers of “heritable factors”. By the time of graduation, I had no doubts about the direction I wished to follow for an advanced degree. It would involve chromosomes and their genetic content and expressions, in short, cytogenetics. This field had just begun to reveal its potentials. I have pursued it ever since and with as much pleasure over the years as I had experienced in my undergraduate days. After completing requirements for the Ph.D. degree in the spring of 1927, I remained at Cornell to initiate studies aimed at associating each of the ten chromosomes comprising the maize complement with the genes each carries. With the participation of others, particularly that of Dr. Charles R. Burnham, this task was finally accomplished. In the meantime, however, a sequence of events occurred of great significance to me. It began with the appearance in the fall of 1927 of George W. Beadle (a Nobel Laureate) at the Department of Plant Breeding to start studies for his Ph.D. degree with Professor Rollins A. Emerson. Emerson was an eminent geneticist whose conduct of the affairs of graduate students was notably successful, thus attracting many of the brightest minds. In the following fall, Marcus M. Rhoades arrived at the Department of Plant Breeding to continue his graduate studies for a Ph.D. degree, also with Professor Emerson. Rhoades had taken a Masters degree at the California Institute of Technology and was well versed in the newest findings of members of the Morgan group working with Drosophila. Both Beadle and Rhoades recognized the need and the significance of exploring the relation between chromosomes and genes as well as other aspects of cytogenetics. 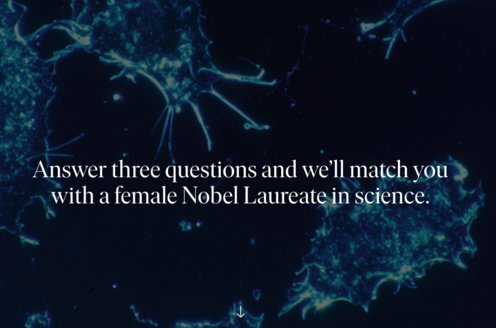 The initial association of the three of us, followed subsequently by inclusion of any interested graduate student, formed a close-knit group eager to discuss all phases of genetics, including those being revealed or suggested by our own efforts. The group was self-sustaining in all ways. For each of us this was an extraordinary period. Credit for its success rests with Professor Emerson who quietly ignored some of our seemingly strange behaviors. Over the years, members of this group have retained the warm personal relationship that our early association generated. The communal experience profoundly affected each one of us. The events recounted above were, by far, the most influential in directing my scientific life. Erasmus Hall High School, Brooklyn, New York. 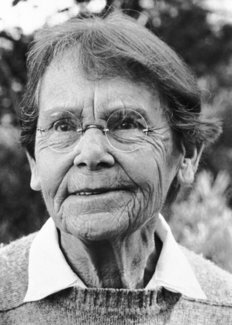 Barbara McClintock died on September 2, 1992.